I can’t believe that Christmas is almost here! I’m still working hard coming up with Christmas gifts for everyone on my list. 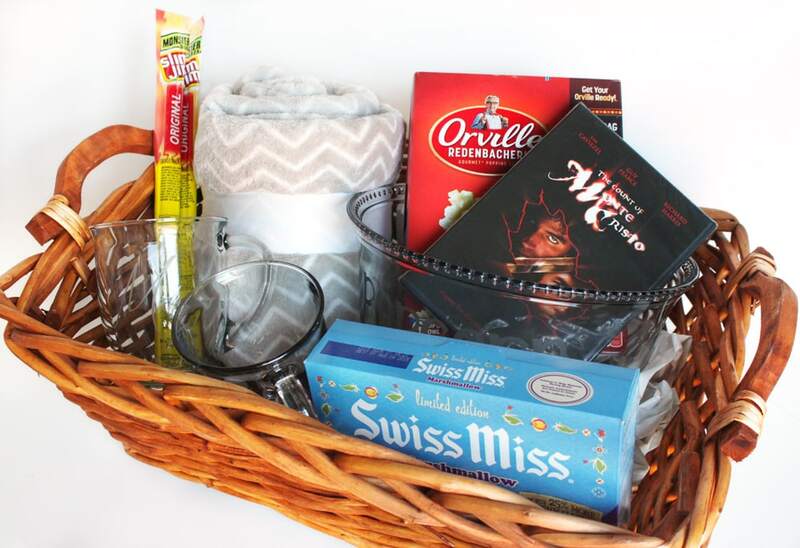 Today, I’m sharing this cute gift basket that I made for my sister and her husband. 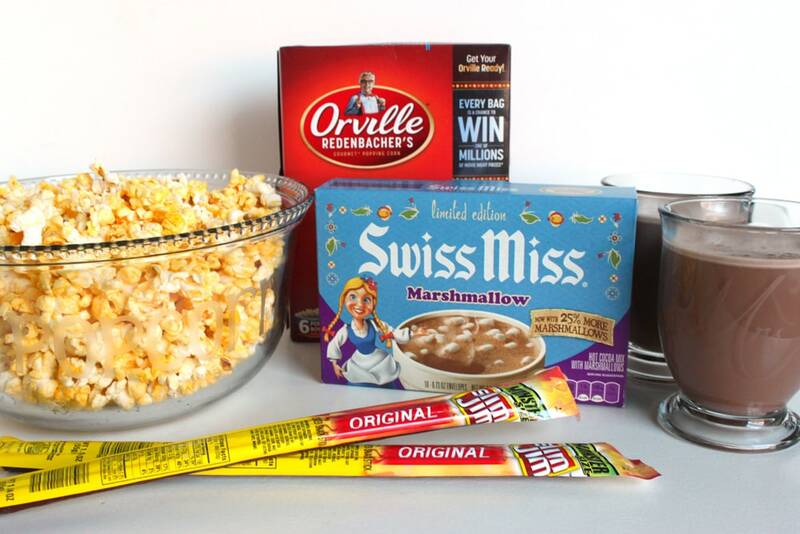 A movie to watch and hot chocolate, popcorn, and Slim Jims to snack on. Yum! I even did some glass etching to make the gift more special! 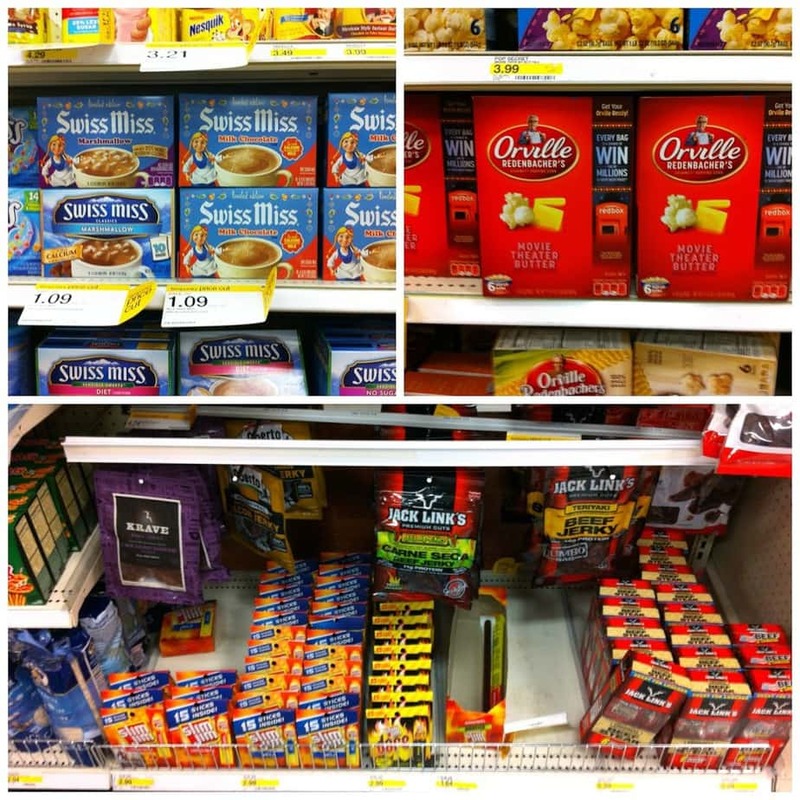 I headed on over to Target to pick up some Swiss Miss hot chocolate mix, Orville Redenbacher’s Popcorn, and Slim Jims for the gift basket. 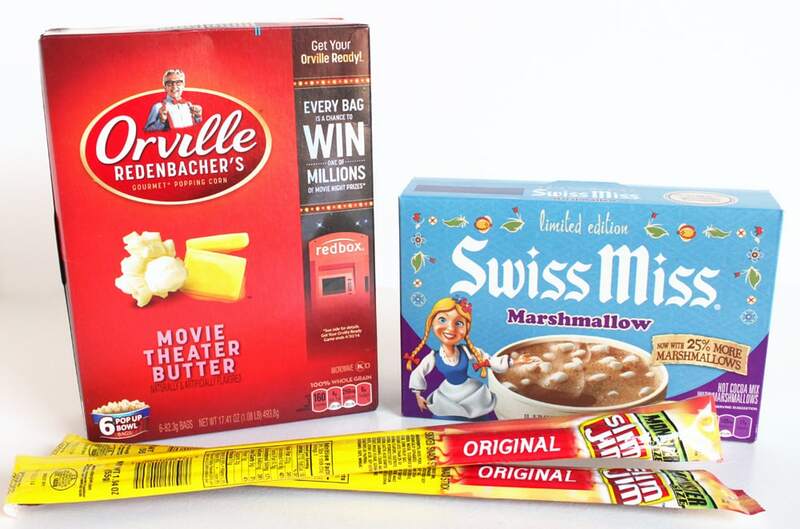 What’s a movie night without snacks?! 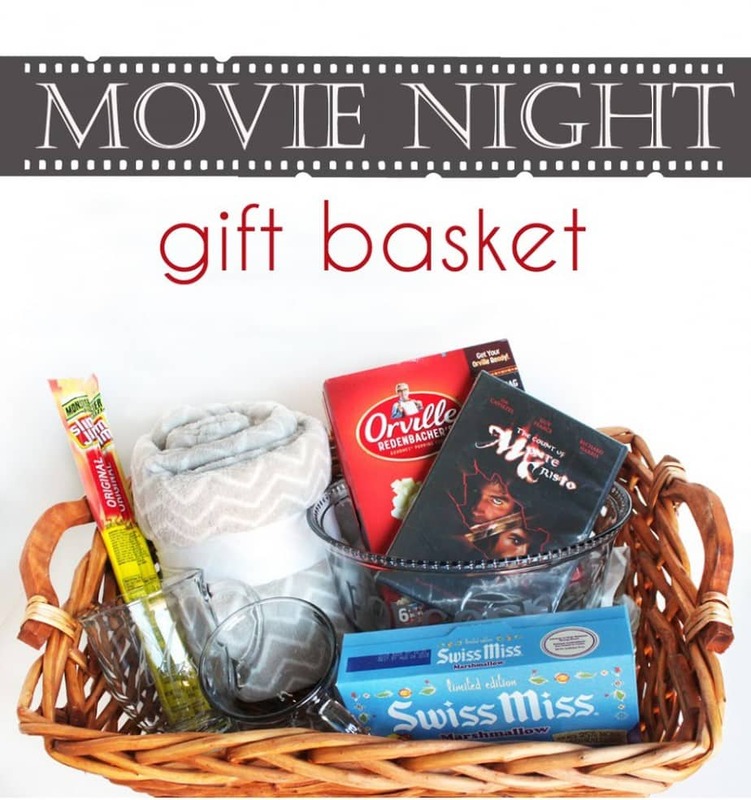 Add a couple of mugs, a popcorn bowl, a great movie, and a cozy blanket, and you’ve got the perfect gift for a special couple on your list! Am I the only one who loves The Count of Monte Cristo? To make the gift a little more special, I did some glass etching on the mugs and bowl. If you’ve never done glass etching, I suggest you try it out! It’s a great way to take something ordinary and add a little personalization to it. You’ll need a vinyl cutter (or a friend with one). 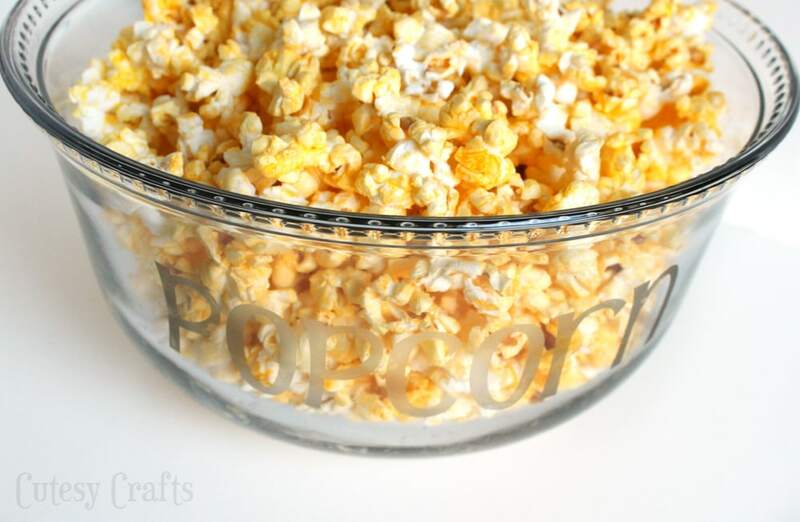 If you have a Silhouette, you can download the free cut file for the mugs and popcorn bowl here. 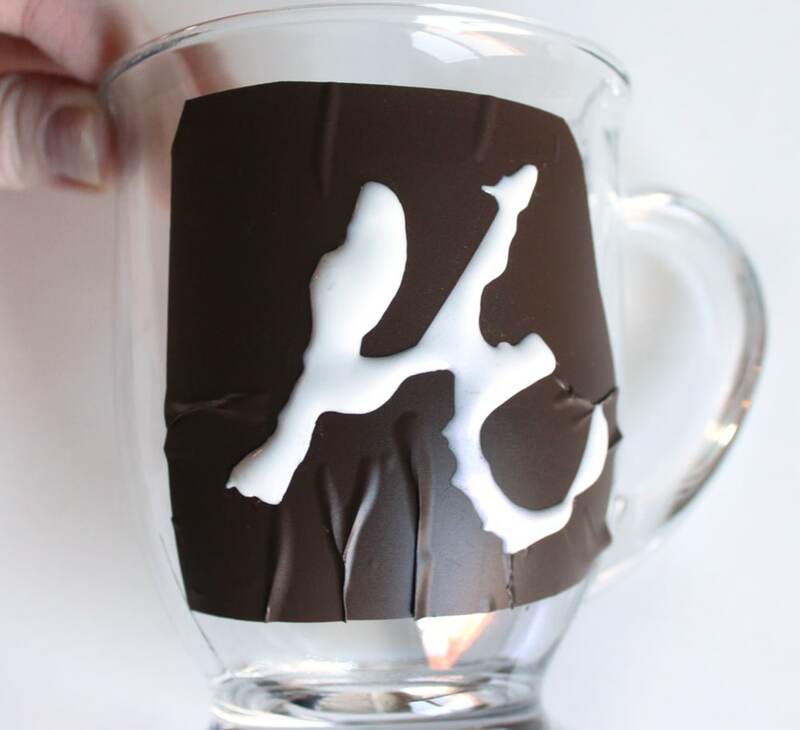 Just cut out your vinyl, peel out the letters, and transfer to the glass using transfer tape. Make sure to rub the vinyl down really well and get rid of any air bubbles near the lettering. Get some etching cream and spread a thick layer over the part that you want etched. I like to use a cotton swab so I can throw it away after. Also, make sure to wear gloves to protect your hands. 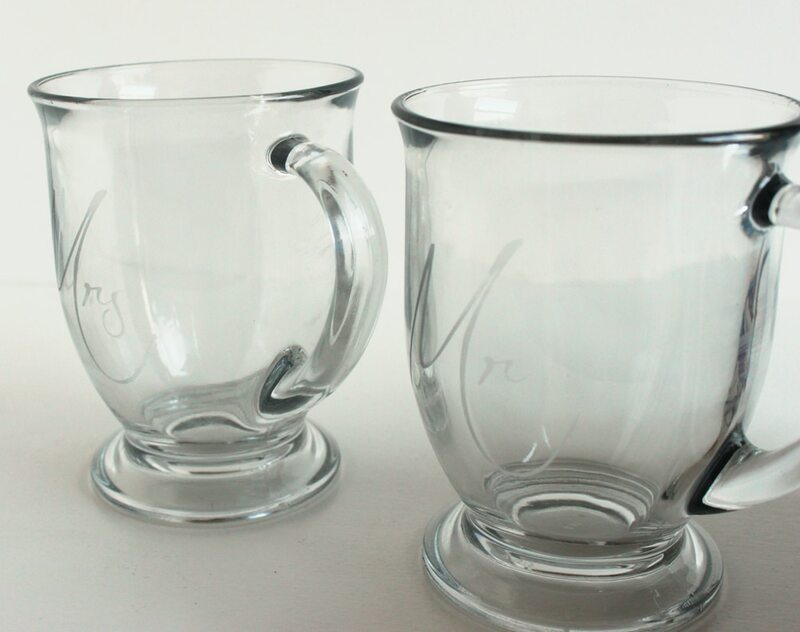 Wait 5-10 minutes, wash off the etching cream, peel off the stencil and you’ve got some cute etched glass! I also really love to etch last names into the bottom of cooking dishes. A really great gift idea! 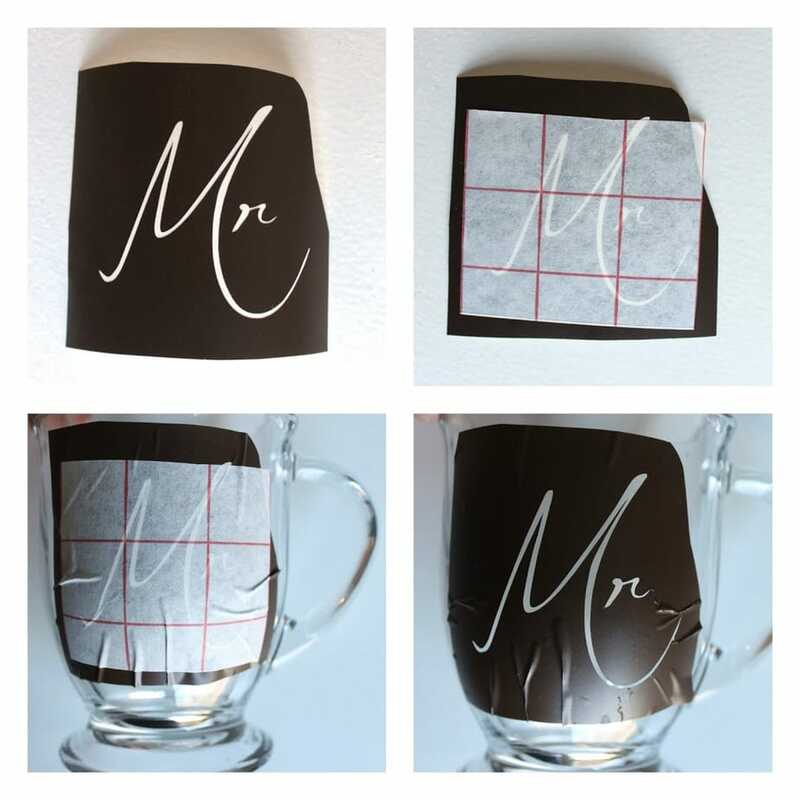 These mugs say “Mr” and “Mrs”. The etching stands out a bit more in real life. Hope my sister and her husband enjoy the gift! Looks like a fun movie night to me! 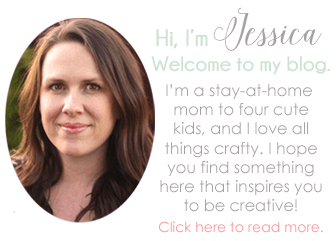 I love your ideas Jessica! You come up with great stuff. I’m totally going to copy this one day. Thanks! Thanks Andrea! Glass etching is one of my favorite things to do for gifts! Thanks Sara! It’s so easy!